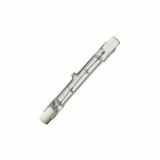 Halogen Tube ZE0101, R7s, 230VAC, 80W, 2700K, warm white Halogen linear lamp ECO with socket R7s, power 80 W, warm white. Halogen Tube R7s, 100 W, 240 VAC Halogen Tube R7s, 100 W, 240 VAC. 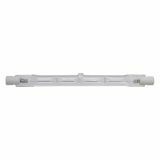 Halogen Tube R7s, 120 W, 240 VAC Linear halogen tube R7s, 120 W, 240 VAC. 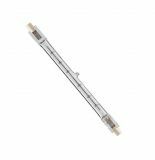 Halogen Linear Lamp ZE0102, R7s, 230 VAC, 120 W, 2700 K, warm white, 78 mm Halogen tube ECO with R7s base, power 120 W and warm white light. Halogen Тube, 150 W, 240 V Linear halogen lamp J78-H150 with wattage 150 W, base R7s and length 78 mm. Halogen Tube R7s, 230 W, 240 VAC Linear halogen lamp R7s, 230 W, 240 VAC. Halogen Tube R7s, 400 W, 240 VAC Linear halogen lamp R7s, 400 W, 240 VAC. 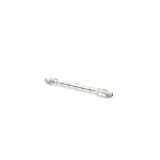 Halogen Tube 500 W, 230 VAC Linear halogen lamp with wattage 500 W and length 118 mm. Halogen Tube Rx7s, 1500 W, 220 VAC Linear halogen tube Rx7s, 1500 W, 220 VAC. 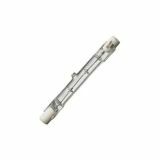 Halogen Tube ZE0201, R7s, 230VAC, 230W, 2700K, warm white, 118mm Halogen linear lamp ECO with socket R7s, power 230 W and supply voltage 230 VAC, warm white. 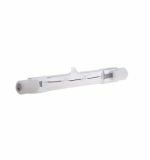 Halogen Linear Lamp ZE0202, R7s, 230VAC, 400W, 2700K, warm white, 118 mm Halogen tube ECO with socket R7s, power 400 W and warm white light. Halogen tube Rx7s, 3000K, 1000W, 230VAC, 189mm Halogen tube with a power of 1000 W and a length of 189 mm. Halogen floodlight 500W, 230VAC, 180x180x135mm Halogen projector with 500W power consumption, black body color, protection IP44 and 230 VAC supply voltage. A lamp is included in the kit. Halogen Tube Rx7S, 100 W, 230 V, 2900 K Linear halogen lamp with wattage 100 W and length118 mm. The halogen tube lamp is a linear halogen lamp with a contact system at both ends. This type of lamps work on the principle of bubble with incandescent infilament, which has added a small amount of halogen such as iodine or bromine. The combination of the halogen gas and the tungsten filament produces a halogen chemical cyclic reaction which is light-emitting. VIKIWAT offers a variety of halogen tube lights with different power, characterized by a high degree of brightness and long life.